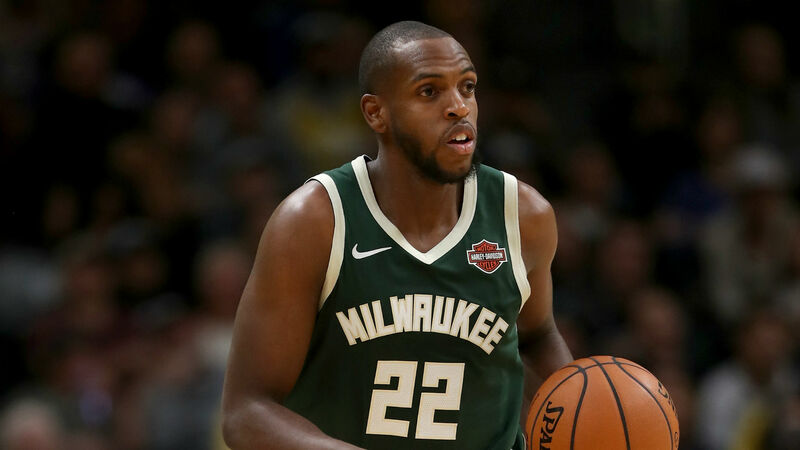 Khris Middleton says the Bucks are "itching for the playoffs" and motivated by taking their game to another level rather than merely clinching the No. 1 seed. The Eastern Conference leaders improved to 53-18 with a 115-101 victory over the struggling Lakers on Tuesday. Middleton led the Bucks with 30 points and later said that his team is hungry to ensure it will hit new heights. "The guys are itching for the playoffs, but we just have to stay day-to-day and do the things that have gotten us into this position," the small forward said. "Keep working hard and keep wanting to get better, as an individual and as a group." The Bucks have a nice cushion over the second-placed Raptors (50-21) with 11 games to play in the regular season, but Middleton says securing the top spot in the East is not the priority. "We haven't talked about that at all," he said. "What we knew when we clinched the playoff spot is we need to focus on the right now.